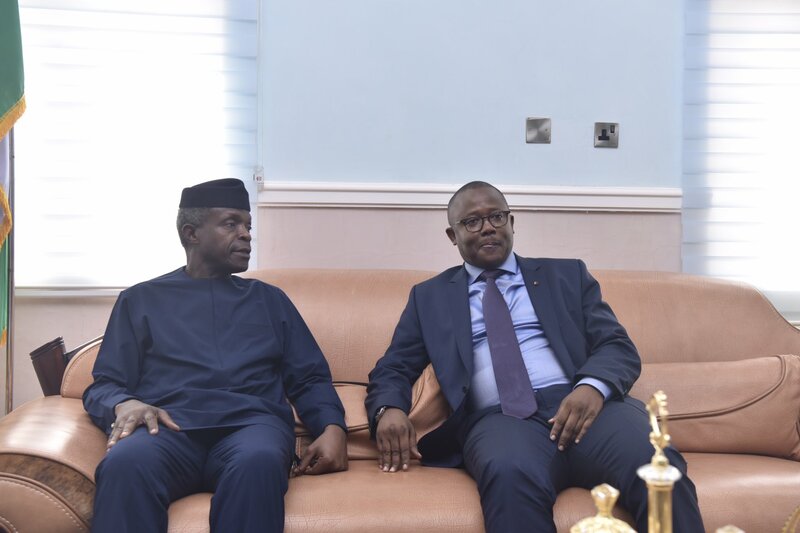 Photos: Osinbajo meets Guinea Bissau’s Prime Minister in Kaduna – Royal Times of Nigeria. 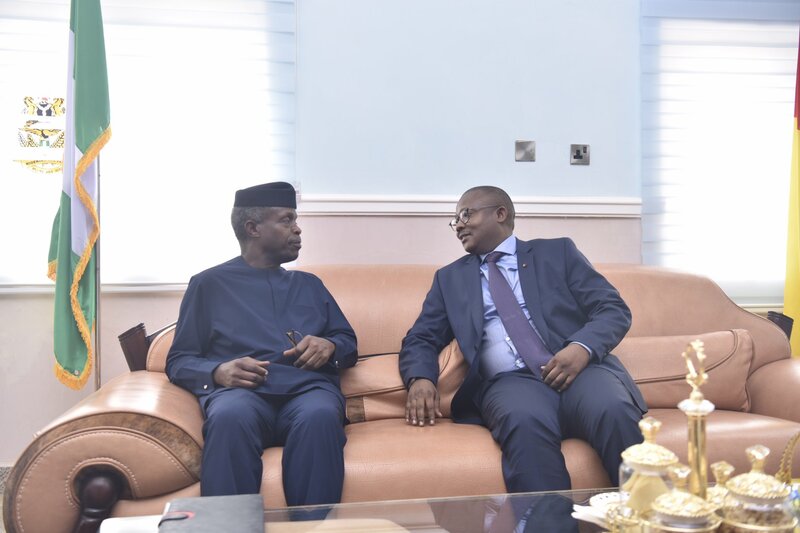 Acting president Yemi Osinbajo on Thursday met with Guinea Bissau’s Prime Minister, General Umoru Sissco Embalo. 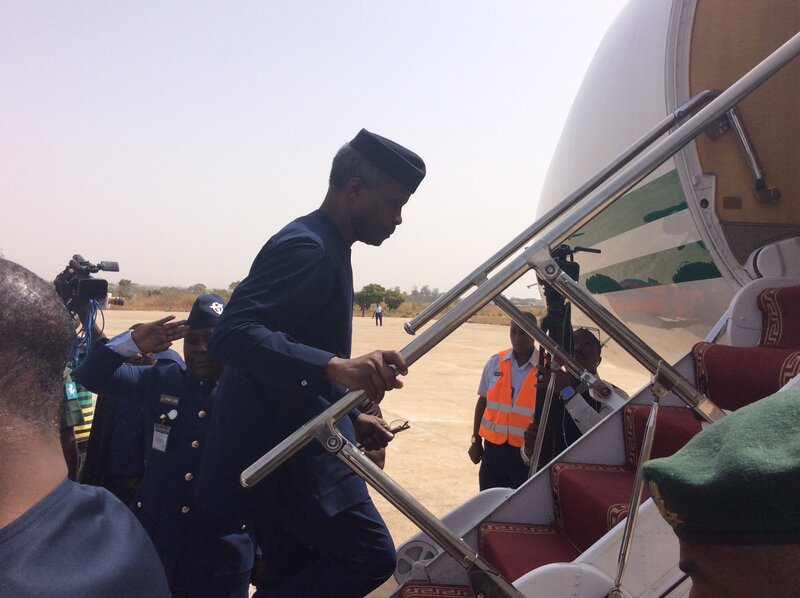 Osinbajo arrived Kaduna from Abuja by helicopter, the first presidential movement into Kaduna since the closure of the Nnamdi Azikiwe International Airport Abuja. The meeting between both men held at the Air Force base, Kaduna. Embalo became the first official guest to fly into Kaduna. After the meeting, both men fielded questions from journalists. 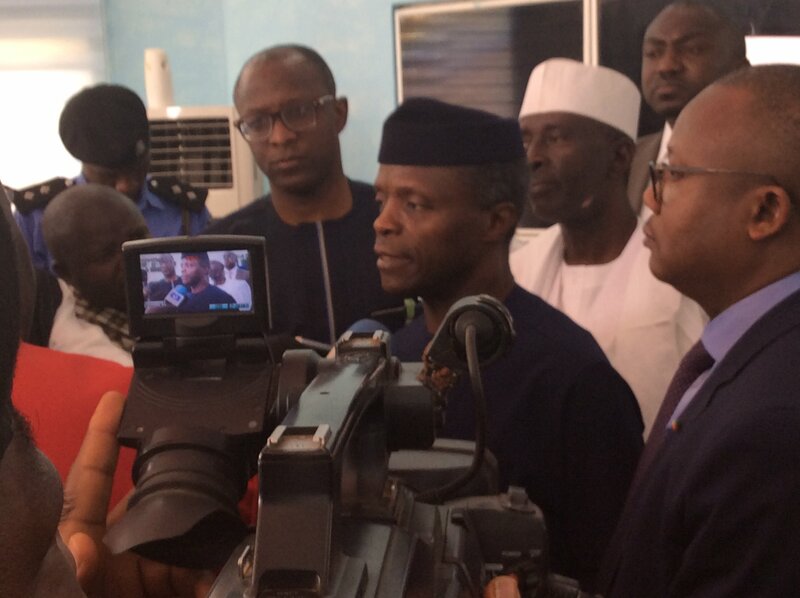 Osinbajo, thereafter departed Kaduna for Sokoto where he will flag off the Micro Small and Medium Enterprises clinic in the state.